We value each and every one of our customers and hope to create the most memorable customer service experience ever. Service is what it's all about. Just as in the days of old when you went to the "service" station, 4 fathers is here to serve you. We put the word "service" back into the meaning of service. 4 fathers' is dedicated to providing honest and quality work. We stand behind all that we do and say. Our job is not completed until you are happy with the service that was provided. Being part of the 4 fathers family always knows that our "allegiance is to you." Quality work from quality people is the first step. Our team of trained technicians takes pride in the work that they perform. We value each and every one of our customers and hope to create the most memorable customer service experience ever. 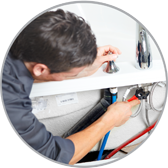 Our plumbers are experienced with all types of pipe and drain issues, from broken garbage disposal units to bursting pipes. We have 24–hour emergency services, but you can always just call us to schedule an appointment for any of the services you may require in the future, such as water treatment system maintenance, sump pump installation, or even kitchen sink installation. 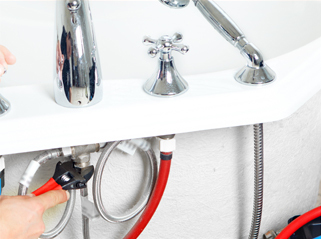 We guarantee 100% of our services, so you can count on a job well done when you call one of our experienced plumbers today for any job, big or small. When wastewater in your business or home cannot go down the drain or into the sewer system easily, it’s not a problem you should take lightly. Raw sewage can leak into the building or seep into the yard, and that’s when you need our expert services. 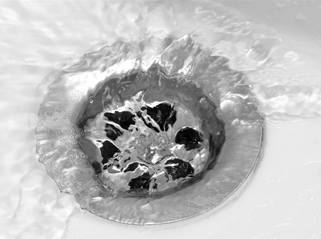 We can remove any type of clog with the latest technologies—like video cameras for inspection and high–pressure hydro jetting systems to blast out any blockage. 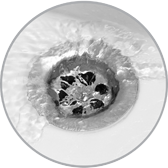 We also offer grease removal, septic tank, storm drainage, and sewer line repair. Call our experts today! Hot water is a part of your daily routine, which is why your water heater deserves the highest quality of service available. 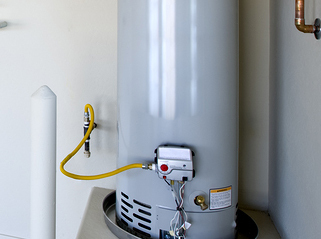 Our water heater experts can repair your system when something goes wrong or help you to keep it maintained to reduce the amount of repairs you will have to make throughout the year. 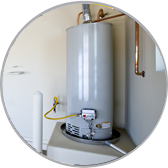 We can install and service conventional water heaters, tankless water heaters and heat pump water heaters. Give us a call today, and you can feel confident that the job will be done right the first time.